Arts and Crafts > How to decorate for parties > What paper should you choose for wedding invitations? If you are ready to make invitations for your wedding and don't know which paper to choose among the various types offered by the market, José Antonio and Dolores Eugenia, from JADE Details, give the information you need to make the best choice of papers for your wedding cards. 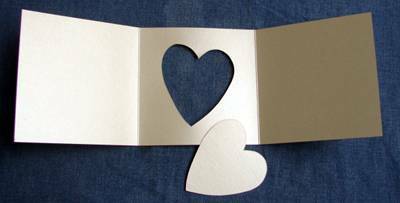 What paper should you choose for wedding invites? Now in almost every stationery store of your country you can find letter-sized papers to make your own invitations, which can be printed with a laser printer or inkjet. 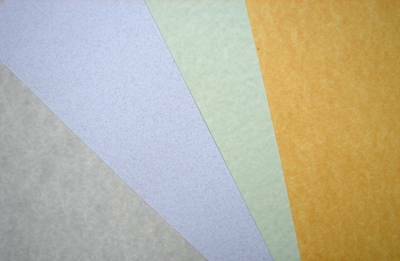 White opaline cardstock: This is the classic wedding paper and you can buy it in packs of 50 or 100 sheets (so that it's cheaper). When you buy a package make sure it says cardstock, since they also sell the paper which is thinner. Decorated vellum paper: a good tip is to use vellum paper because it gives a touch of class to your invitations. You can also print on it with inkjet or laser printers. I got this paper from Gaviota manufacturing. Recycled cardstock or parchment: Also in almost any stationery you can find a variety of letter size cardstock that can be printed on any printer. This is great because if you choose a theme for your wedding such as sunflowers, then you can experiment with a yellow color to vary slightly and not use the traditional white. 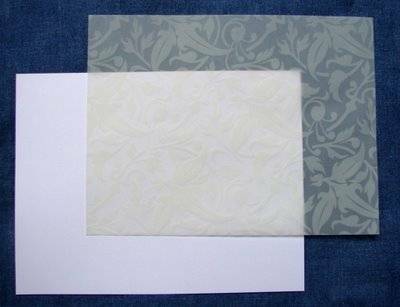 Rhododendron paper: There are other types of cardstock that are thicker and with stronger colors. This type of cardstock can not be printed on normal printers and therefore are ideal for screen printing. If you want to make your own invitations with this paper you can print text on an opaline cardstock and stick it inside the rhododendron invitation. Handmade papers: these are the most expensive and most beautiful papers out there for wedding invitations. These papers are beautiful and can be printed in silkscreen or you can print the invite text on another type of card and paste it. Usually the invitations are assembled by hand and there are many very creative models. 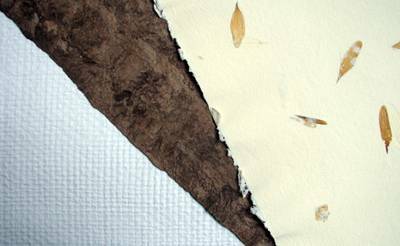 Here I show a white paper with jute texture, an amate paper and a paper with flower petals. These papers can be bought in large stationeries and manufacturers like Gaviota, Empapelarte or Lumen. Invitations with die cut-outs:Gaviota manufacturers sells various models of invitations with very creative die cut-outs. If you live in the city of Mexico, I recommend their shops because they also give free courses so that you can make your own invites. If you live out of the city, send them an email and here you’ll find some ideas for beautiful invitations. If you would like to make your own papers, visit the recycled paper section. Write your comment in "What paper should you choose for wedding invitations?"